B9Creations has been named the 2018 Exporter of the Year by the Small Business Association, for the State of South Dakota and Region VIII, encompassing South Dakota, Colorado, Montana, North Dakota, South Dakota, Utah and Wyoming. 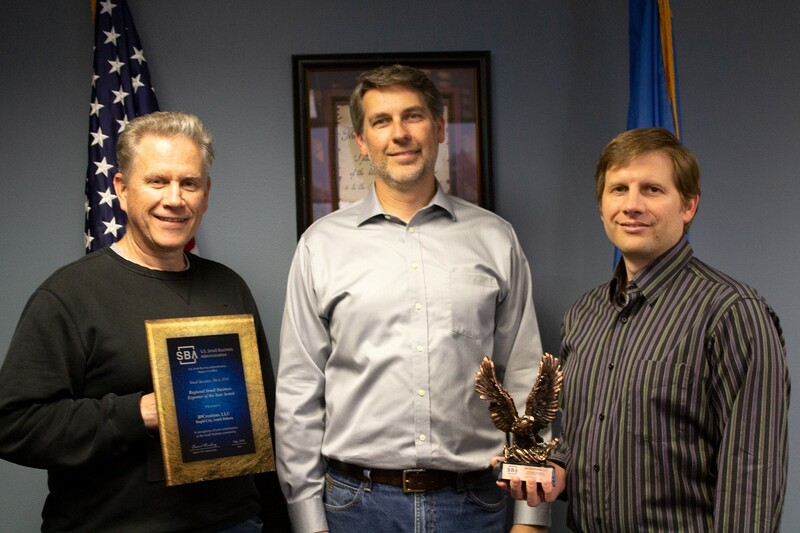 The South Dakota-based company was officially recognized during National Small Business Week, an annual event honoring the accomplishments and contributions of the best small businesses in the nation. "It's because of our dedicated, hardworking staff, thousands of valued customers, and partners like BankWest - South Dakota and Rapid City Economic Development that we were able to export our products to over 66 countries last year. Thank you all!" said B9Creations CEO Shon Anderson. B9Creations exported its line of 3D printing solutions to 66 countries last year alone, and is the largest FedEx shipper in Western South Dakota. With a customer and certified dealer base that is largely global, international expansion remains a key element of B9Creations growth strategy. To keep up with demand, B9Creations has hired rapidly this past year, with an employee count topping 30 full-time employees and additional interns. The growth in export sales has allowed the company to reinvest in itself, increasing production capabilities and jobs across sectors - from manufacturing to marketing, product development to sales and R&D. Each year since 1963, the President has issued a proclamation calling for the celebration of National Small Business Week, as U.S. exports are important to the nation’s economy, and 98 percent of all exporters are small businesses. The SBA’s export loan programs help American small businesses reach customers in the global market and compete on an equal footing in countries around the world. During fiscal year 2017, the SBA had another record year guaranteeing more than 2,152 loans to small business exporters, resulting in more than $1.87 billion in financing.